Hi, when would it be a good time to trade for your shiny vivillon? As someone who has recently been replaying Emerald for the Battle Frontier, stick with AA on the Mence imo. I regret breeding HP Flying because of all the Evasion ._.". Whoops, sorry for responding so late. That's really cool. 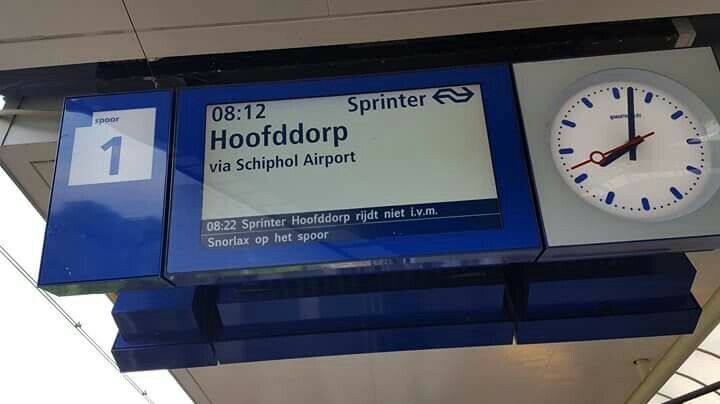 =D Welcome to the Netherlands. ;) I'm like all the way in South-Holland though. Ik speel nog steeds Pokémon, maar ik heb niet de behoefte gehad om mijn thread te updaten of te ruilen lol. Misschien dat ik wel weer meer ga spelen als gen 8 gereleased wordt. :P Teveel goede games te weinig tijd... Jij? Veel breeden dus en af en toe Battle Tree! Greetings Thomaz! I just wanted to ask you if you still got that Ribbon Master Milotic and if it's up for trade. I couldn't find it in your new thread and I wanted to ask here before CMTing in your thread. Let me know what you think! I see, thank you very much for your reply! Well I'm planning on CMTing you for it once you have finished the Gen 4 ribbons. If I ever were to get my hands on the Milotic, I'd get all of the Gen 6 and Gen 7 ribbons for it myself anyway. Maybe I could take care of this for you? Let me know what you think. Make the Netherlands great again? Breast reduction surgery or something less serious? She's getting a neuro modulator actually, it's basically a pace maker, but instead of the heart, it stimulates the bladder. I guess the surgery on it's own isn't really that risky, but the emotional effect of it is quite big. Sure, doesn't sound life-threatening but it would still stink if they'd botch your GF's pee maker. Good luck with that. Hopefully it works well enough that she forgets about it in a week. Do you/did you use lua scripts for your FRLG RNGs? If so, are these publicly available and could I possibly have a link to them? Oops. I use Lua to figure out my the IVs I hit. As for a link, I'd have to look it up. Yeah, no need - I found and adapted my own one. Thanks, though! What's up Thomaz?! Haven't seen you much :0. How's life and RNG? Wow, I'm just terrible. So so sorry. I'm just really terrible lately with responding to stuff haha. I'm good. Really busy with a lot of stuff like looking for houses and whatnot. RNG's still as good as ever. Just did a whole lot of stuff on gen 7 lol. You? That's nice to hear ^_^! Good luck with finding houses :). I'm doing great, thanks for asking! I did some 7 gen RNG's myself as well. Anyways, it's good to see you again! You still need a PAL volcanion code? Hi! I have an egg that matches your TSV. Would you be able to help me out? Oops, I'm so sorry. Yes, of course, I'll hatch it for you. =) I'll be available whenever you can. Thomaz - I just PM'd you that MewTwo code. I got busy and I forgot how close we were to its expiry. I believe you have less than 24 hours. Please use it now, and we can we work out the trade details in the coming days. My apologies for the delay! Ik ga Remoraid nu Pokébanken, je FC adden en dan kom ik online! Zou je mijn Modest / Ground Eevee kunnen klonen? dat ik die 3 keer in totaal terug krijg? Die trade vind ik prima! Kan je vanavond rond 19:00 ruilen? En kan je klonen? Want dat kan ik niet =/. Zullen we anders 21:30 afspreken? Haha, is goed. Laten we 21:30 maar doen. Hoi Thomaz, je hebt best wel veel Pokémon in specifieke Pokéballs met Hidden Ability waar ik interesse in heb. Indien je wilt, kan ik in je thread posten om welke het gaat. Sorry for the late comment, but that's hilarious lol. PS: Are you still in Big Apple? Fair enough. :P It's kinda what I figured, but I didn't feel like researching it. Latii is of course for the twins. hi thomaz, i know my trade thread is quite bare but is there anything you want for a safari ball female cubone? Hey are you able to trade right now? Anything you need for it? Ok ok. Let me know when you need help hatching your eggs. I'll be glad to help you. Do you have a Weather Ball Bulbasaur by any chance or would you be able to get one? Hey man I have a code to all three birds. Are you still searching for a code? If you don't find anything, I can give you one (Don't know if Europe code is working for you). I only want the Moltres you SRed. Thanks for the offer! But Hells_Gate just gave one for free haha. I'll repeat the statement, awesome! Thanks for doing this. And if Nelson were around, I'd thank him too. It's sad to see him go. I've done so many trades with the guy. You're welcome! If you want anything else then just let me know. And while I haven't had all that much to do with him myself, he seems to be a pretty good presence on these forums, so it'll be sad to see him go.